Geek Grotto - Get Your Geek On! : Yes, Animeigo Still Exists And A KickStarting A Release! Yes, Animeigo Still Exists And A KickStarting A Release! Oh Animeigo, the distributor of anime from my youth, where have you been? 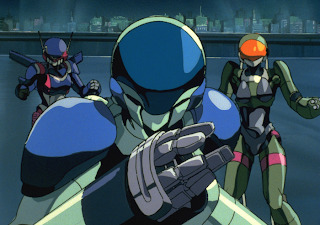 Seriously, I was surprised to find out this morning that you still existed AND KickStarting a Bubblegum Crisis Ultimate Edition for Blu-Ray! For $50 you get an HD version of the classic series! I currently own 2 of the DVD releases, and wish I still had the cash on me for this, the series is that damn good! So, I could go on and on about the series, but there is only one thing you need to know. YOU MUST BUY THIS AND DO IT NOW!